With the gift giving season right around the corner, it’s hard to ignore the quick and easy ideas available with every one of Bramble Berry’s fragrance oil samples of the month. October’s sample is Spiced Mahogany. Be sure to take a peak at the tutorial (especially if you’re a fan of adorable little birdies). 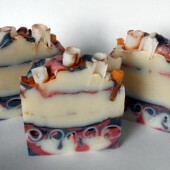 There’s also quite a few from previous months that are worth checking out: Cherry Blossom, Fresh Bamboo, Sweet Meyer Lemon, Violet, White Ginger & Amber, Butter Cream & Snickerdoodle, and Moonlight Pomegranate. We don’t always repost them on the blog so be sure to check them out if you haven’t seen them at the Bramble Berry site before. 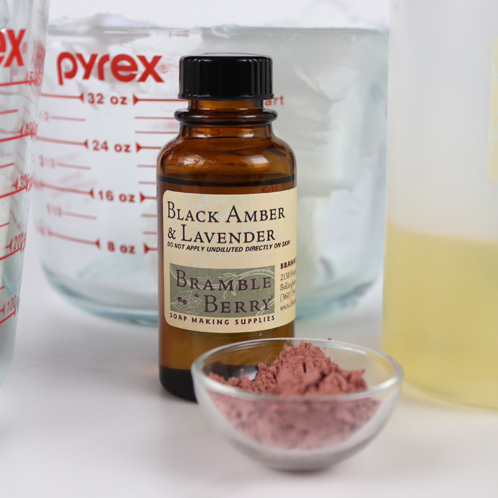 Now, onto the weekly Soap Queen tutorial; Rose Clay Sugar Scrub with Black Amber and Lavender Fragrance Oil is an exciting way to add diversity to your product line, or make it a sophisticated addition to a gift for that someone who has everything. With minimal ingredients and a vast number of packaging options, this recipe is sure to be a hit this season! 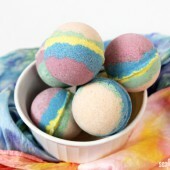 ONE: Using a mixer, beat the Foaming Bath Whip (by itself) for about a minute or less. You’re just looking for a little bit of volume, a sort of “wake me up”! 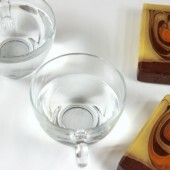 TWO: Add the Sweet Almond oil and Black Amber & Lavender Fragrance. Mix well. 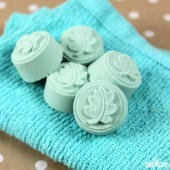 THREE: Add the Rose Clay and mix well. FOUR: Once all of the other ingredients are well mixed, add the sugar a little bit at a time, mixing fully each time before adding more sugar. Continue until all of the sugar is incorporated. 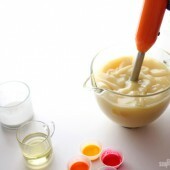 FIVE: Transfer the sugar scrub to jars or other containers using a spoon or spatula. Enjoy! 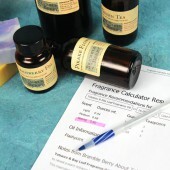 Keep an eye out in your next Bramble Berry order for your free fragrance oil sample (we include one with every order!). Had your eye on a particular fragrance oil? 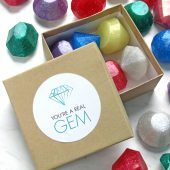 Leave a note with your order and we’ll be try to include that one instead of the sample of the month! I’d like to know what the difference is between a facial/foot/all body scrub/mask. 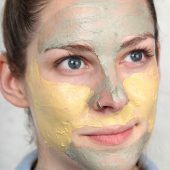 I know some ingredients can be rough on the face, depending on skin type, but how do you determine what the scrub/mask is best for? I made a batch without sugar and and used jojoba oil. It created a super awesome moisturizing shave cream for my legs. I really <3 foaming bath whip. Love the color and smell of the scrub. Only thing it was a little drying to my skin. Could I add a oil, say avocado oil to help or will the foaming action cancel that out. 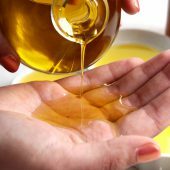 I looking to make a all in one scrub,cleanser and moisturizer. Thank you in advance for your help! Hi, sorry if this has been asked already but if I would want to sell this what do I put in the list of ingredients? I wasn’t sure how some of the items are listed and what order do I use? but can I aks you some question? While we have not tried that, I don’t see any reason why you couldn’t 🙂 I’d love to hear how it turns out for you! I was wondering if I made a sugar scrub with or without the foaming whip and would like to add honey, can I do it? Does adding honey change the shelf life? Does it make the use of a preservative necessary? Do you have a recipe to use honey in a sugar scrub? And what kind of honey would be good? Unfortunately we do not have any recipes with honey, but I think you could modify this recipe to include a tsp. of honey or two 🙂 You can also use flavoring oils in place of fragrance oils! I love this scrub and have been selling it, but I am not sure if I am labeling it correctly. Is there anywhere on your site that I could find that? I know the order of the bath whip ingredients,but not sure where my ingredients fit in. Good question, sometimes labeling can be a little tricky. 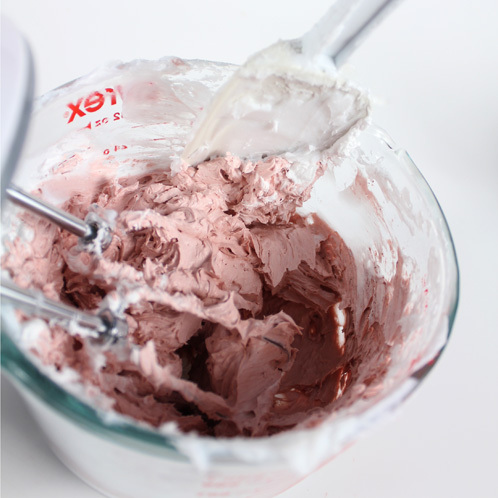 I would simply list the other ingredients after you list the ingredients for the bath whip, because that is the main ingredient :). 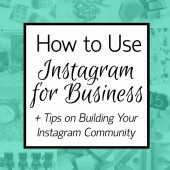 Here are a few blog posts that you might find helpful! I love this scrub! 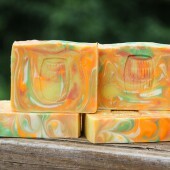 It will go perfect paired with the charcoal and rose clay spa bar! 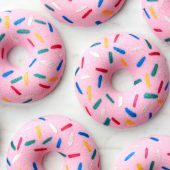 Could you substitute the sugar for the extra small pink sea salt since it is so fine and similar to sugar? 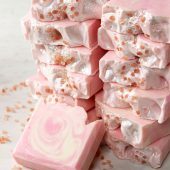 I know this post is from 2012, but I noticed the recipe calls for 3 teaspoons of rose clay, but in one of the comments, you said 3 tablespoons. Can you clarify this for me? I had planned on making it for my sister’s birthday this weekend. Thanks. This is such a great tutorial, thank you! 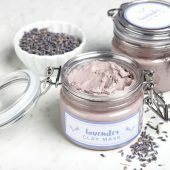 I am new to this entire process, and am wondering if it’s OK to replace the lavender fragrance entirely with lavender essential oil. Do you think it would blend nicely, or maybe be too oily? Sorry if you’d already answered a question like that and I missed it. This is such a great recipe and I’ve used it with several other fragrance/essential oil combos in the past. If you’d like to use the Lavender Essential Oil instead of a Lavender Fragrance Oil, you can totally switch them out. 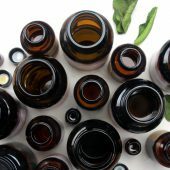 But, because you are using an essential oil, you will want to stay within the safe usage guidelines for EO’s (Essential Oils). 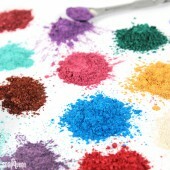 We suggest using .2 – .3 oz per pound of mixture. Keep us updated on how it turns out! Hi! I made this rose clay sugar scrub and it was amazing!! 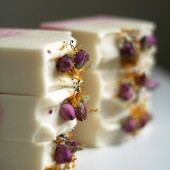 I was wondering if I can substitute the Rose clay with Micas? 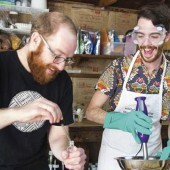 While you could do the whipped butters in place of the foaming bath whip, they don’t and won’t act the same. The whipped butters will be more of a lotiony scrub and the whipped butter recipe is a soapy buttery scrub and more cleansing than the whipped butters. Hope this helps. 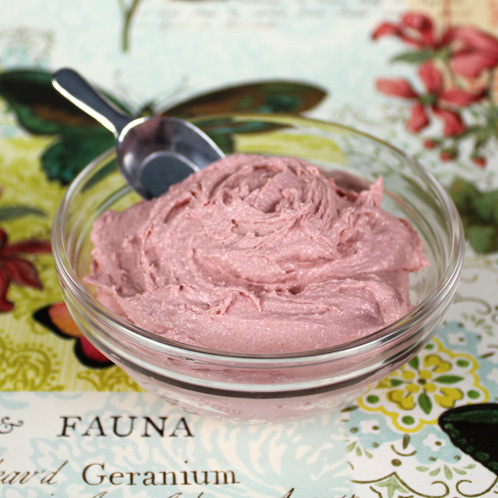 I would like to make the Rose Clay Sugar Scrub, but I noticed there are preservatives in the Foaming Bath Whip. 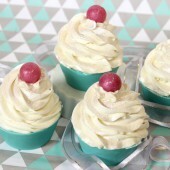 Is there a preservative Free recipe for foaming bath whip or a similar recipe to use instead? 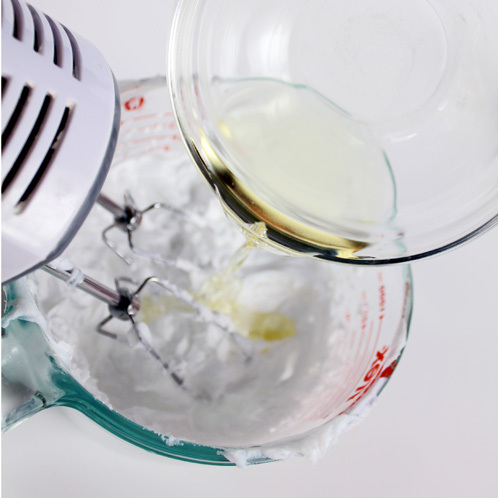 Currently we don’t have a preservative-free foaming bath whip recipe, but we do have several preservative -free body butter recipes that you can try out. Hi! I’ve made a similar scrub (although it didn’t have clay in it), and I found that after a couple of weeks the scrub had lost much of it’s ‘scrubbiness’. I suppose a lot of the sugar had dissolved. 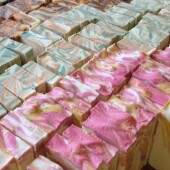 I used 4oz foaming bath butter, 1oz sunflower oil, 6oz white sugar and a few drops of fragrance oil. 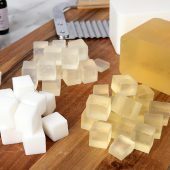 Have you any idea how I can stop the sugar disappearing? Thanks! Hi Ola! 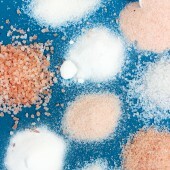 It is sort of the nature of sugar to disappear in scrubs, especially when exposed to water or oils. If you want your scrubbiness to last a little longer, I would suggest salt. Thanks Becky, I’ll give it a go. I don’t expect that I’ll have any left in a year either but for it to still be scrubby in a month or two would be nice! If you don’t have the Foaming whip can you use SLSA or Coconut Oil/Cocoa Butter instead? I know with SLSA it would have to be added slowly. I made this scrub and followed your directions, and it was awesome!! I love this scrub. The great thing about it is that its shelf life is one year!!! I also made ya’lls Goat Milk Tea Bags…..oh my….I didn’t want to get out of the tub. They are wonderful as well. 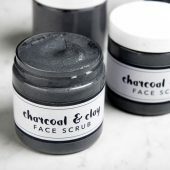 I’m curious….could this scrub be made using fine grain dead sea salt instead of sugar? how long is shelf life of this sugar scrub? What can I substitute Sweet Almond Oil and Shea Butter with. 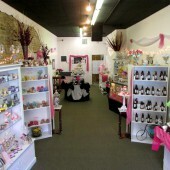 I’d like to gift scrubs and soaps to friends but they have nut allergies. What’s great about the Sweet Almond Oil in this recipe is that you can switch it out with any other liquid oil and still be okay. I’d suggest trying out Apricot Kernel, Meadowfoam or Olive Oil. 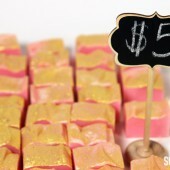 And this recipe doesn’t actually require Shea Butter at all! 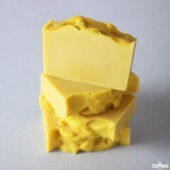 If you had another recipe that had Shea Butter and you wanted to substitute it out, I’d try Avocado Butter. The Foaming Bath Whip’s ingredients are: Glycerin, Water, Sodium Cocoyl Isethionate, Sorbitol, Propylene glycol, Disodium Lauryl sulfosuccinate, Stearic Acid, Sodium Chloride, Diazolidinyl Urea (and) Iodopropynyl Butylcarbamate, Tetrasodium EDTA. Thanks a lot for this recipe! Made it this afternoon as Christmas gifts for the girlfriends of my two sons. 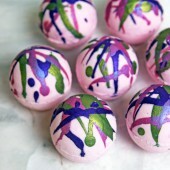 Easy peasy, but looks so georgeous! Scented it with your Sweet Pea sample I still had on hand. 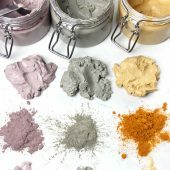 What a great way to use it; this scent goes so well with the colour of the clay. As suggested in the comments me too I’m going to play with different scents and clay combinations! Whoohaaa! Absolutely no good to feed my addiction, Becky, lol! Shipping costs to The Netherlands are killing. Shipping only 1 ounce of clay costs me $35…..!!! I didn’t know that, Becky, thank you so much for pointing me in that direction! I just knew about the shipping rates mentioned on the site when ordering. My Brambleberry whishlist is looooong and it could well be that soon it’s not a whishlist anymore, but a real order! 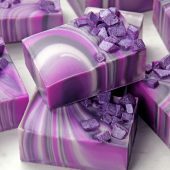 Wow, I am absolutely in love with the Black Amber Lavender fragrance! Please don’t ever get rid of this scent! I made this scrub then also added the fragrance to your easy whipped shea butter recipe that which I also made a pink color with some of your micas to make a set for Christmas gifts. 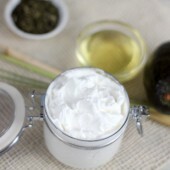 Now I just have to think of a cool name for the whipped shea butter. 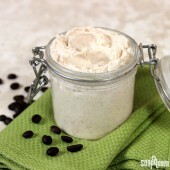 I have had some friends ask me if the whipped shea butter recipe is organic. I really do not know much about what makes something organic. Is that recipe or this recipe organic? What a great question! For something to be considered organic, it needs to meet certain standards held by the FDA. Great thanks for the info. 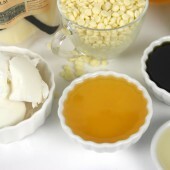 Where can I find the ingredients in the foaming bath whip, Black Amber Lavender Fragrance Oil and Lip Balm Base? 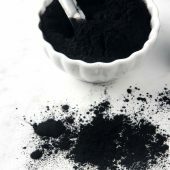 What are the Micas made from also? I know when I give these out as gifts, people will ask so I thought I’d just print up an ingredient list for everyone. What a thoughtful gift, they are going to love it! 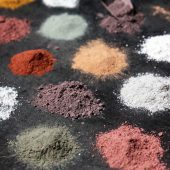 For almost all of our products, you can find the ingredient list or INCI (International Nomenclature of Cosmetic Ingredients) listed on the individual product pages. 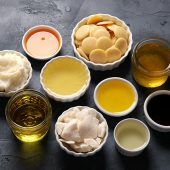 Coconut Oil (Cocos Nucifera oil), Cera Alba (Beeswax), Sweet Almond oil (Prunus Amygdalus Dulcis), Avocado oil (Persea Gratissima). 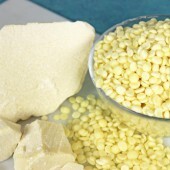 And because the fragrance oil blends are consider a trade recipe, you can just list it as fragrance or parfum. 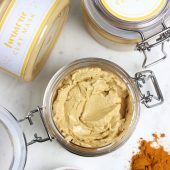 I would like to know if I can substituite the Green tea extract for the Dulse extract and omit the lemongrass essential oil for any one of the flavoring oils? Either the Black Amber/Lavender or Rich Dark Chocolate. Sensuous versus Decadent. I would like to use this in the Body butters. I forgot to say that in my last question. Sorry! 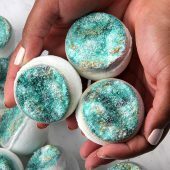 I have been making CP soaps for awhile and wanted to try some scrubs and body butter’s. 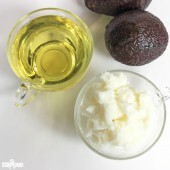 I am trying to be as natural as possible and just came across your whipped body butter recipe (shea or avocado). Could this be substituted for the whipped bath foam instead? I noticed the foam has a lot more chemicals in it. Also, if this was sold as a body butter scrub, would it need a preservative? Thanks! 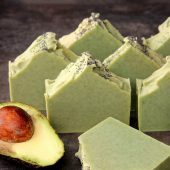 Preservatives generally aren’t used in products that don’t contain water, however some people prefer to add them to products that may be exposed to water, ie: used in the bath or shower (such as a body scrub), as extra insurance. 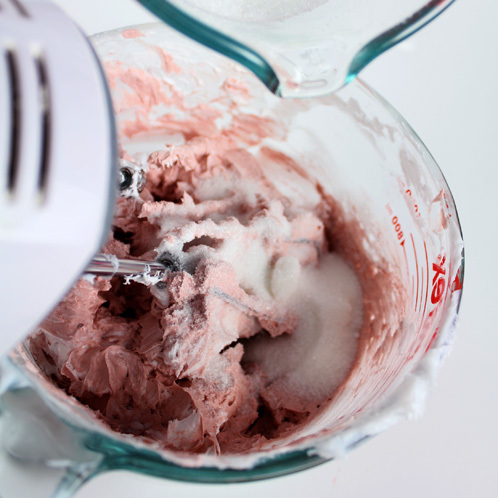 Have you ever whipped it up with your stick blender? We have a 6 qt stand mixer and I didn’t get nearly the volume that you got. It could be that I didn’t mix long enough, or it could be that the mixer was predominantly smearing the ingredients against the bowl wall. 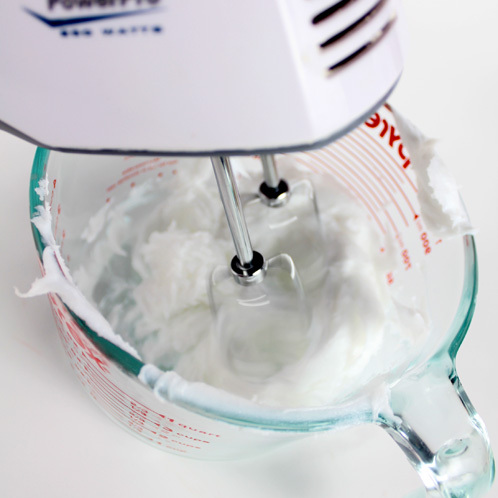 I am just trying to assess whether my stick blender would be useful or whether I should just get a cheapie handmixer for future adventures in foaming bath whip. I am wondering about packaging, too. Do you have any tips for getting the scrub into a jar without the air pockets? I know that basically all of the air needs to be pushed out out the jar as the scrub is going in, but I can’t quite seem to achieve that yet. Any advice? 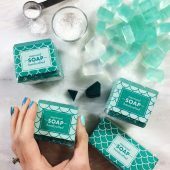 Thank you, Soap Queen team! 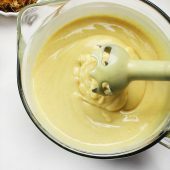 You can try using a stick blender in this recipe, but because of the thickness of the recipe, it might take a little longer to mix and/or burn out the motor of the stick blender. But, if you do try it out, let us know how it turns out. The easiest place to find a cheap hand blender would be a thrift store like Goodwill or Value Village. 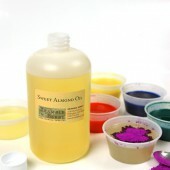 They often have supplies that you could use just for soaping at a very affordable price. I too, have noticed that when trying to put a scrub in a container it can be a little difficult. But, what I do is fit in as much as possible and push down on it a bit and then let it settle and add more in. You can also tap it a couple of times on the counter-top to help it settle a bit. P.S. 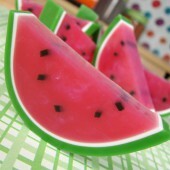 You can also fill it up using pastry bags. I think I am too scared to try my stick blender! I did figure out that larger batches plus the whipping attachment on the blender worked better. I’m still looking at Goodwill, though. Hi!!!! Love your tutorials. Can I use this for the face? What is the average shelf life of something like this. I would like to make this as a gift and mail it to a friend. 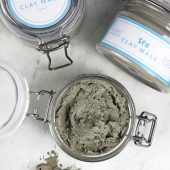 Can any of the clay’s be used (yellow silt) with this scrub? I don’t have the foaming bath whip, can I substitute something else? SMC Taurate paste for example? Thanks! 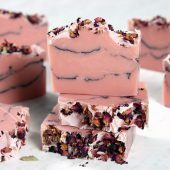 This looks wonderful and I’m planning on scaling up the recipe to make it for female members of the family (and using that wonderful moonlight pomegranate fragrance I got a sample of last month! I’ll have to get more.) I’m going to use a full pound of foaming bath whip and scale the rest up accordingly. My question is how many teaspoons are there in an ounce of the rose clay? Would an ounce of it be enough to scale properly? P.S. 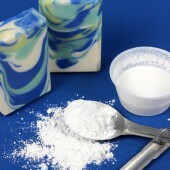 There are about 6 teaspoons in an ounce. New to this. Is this a body or face scrub or both. 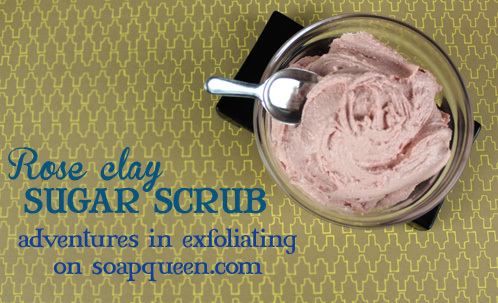 This is a typical body scrub, but you can use it on the face. Just be aware that because there is sugar in it, it might be a bit rough on some faces. I love it. Could you tell me how long this stays good? 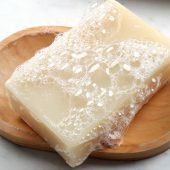 When making cold process soap, you do not need to add a preservative because the lye in the soap will neutralize any bacteria or mold from growing. 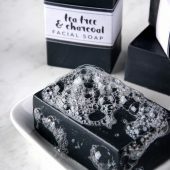 With melt and pour soap, there is no lye to neutralize the bacteria so you’ll want to be more cautious with melt and pour and herbs. 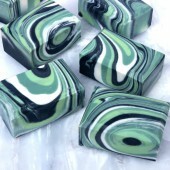 Be aware that any herbs or botanicals that you add to your soap will eventually turn brown (as they are plant material). 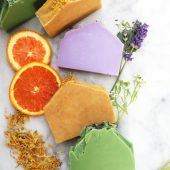 If the herbs are fresh or have water content in them, they can mold over time so it’s best to use dried herbs for your soap. 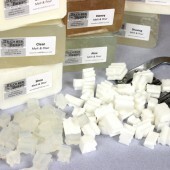 We don’t typically suggest adding oils to your M&P soaps because they already have so many skin-loving ingredients in them and anything added could change the consistency of the soap. 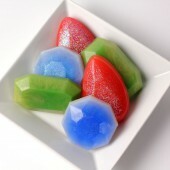 But, if you really wanted to, we suggest going as high as 1 tablespoon per pound of melt and pour soap. I just received a large order yesterday and I didn’t get a sample 🙁 Would like to try the spiced mahogany. I did look in the packaging since that’s where it was in my last order but didn’t find it this time. Maybe next time! I tried this with some leftover kaolin clay and some Fired Up Fuschia. Fantastic! 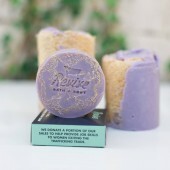 I was just thinking the same thing with the french green clay and peppermint! I’ll have to try adding in some Lavender. I love the colour. It’s not as girly as a pink but has a nice sophistication about it. Well done, as always. 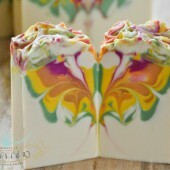 It looks like it would feel silky and smell like heaven! Do we need a preservative if we plan on giving as a gift? Thank you for this – looks great! If we put it in a container similar to this – where fingers will be in and out – what’s the best preservative to use? Hi Catherine! The foaming bath whip actually already contains a preservative in it (Diazolidinyl Urea (and) Iodopropynyl Butylcarbamate) and does not need an extra one added! Looks fabulous. 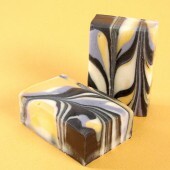 I love, love, love the Black Amber and Lavender fragrance oil.